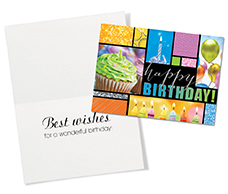 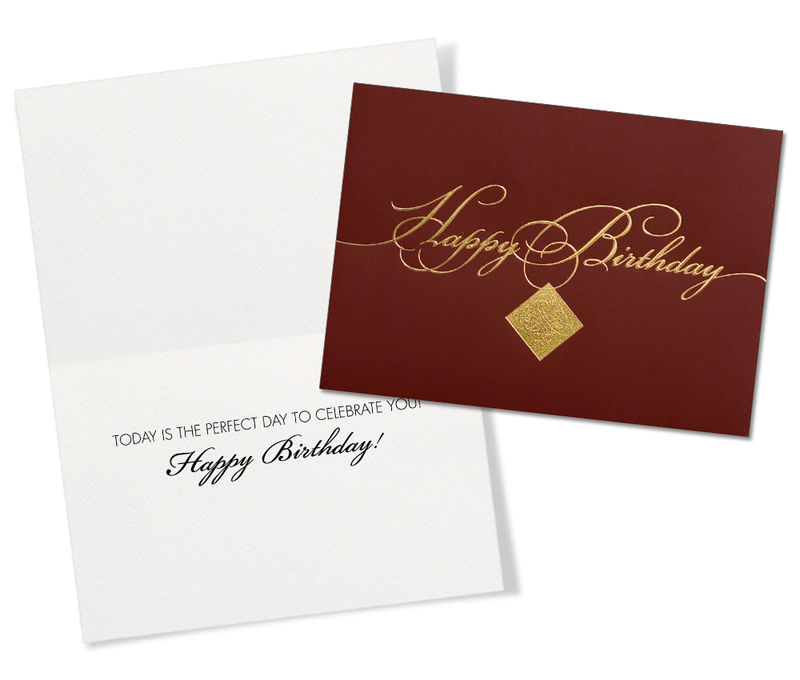 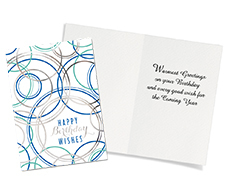 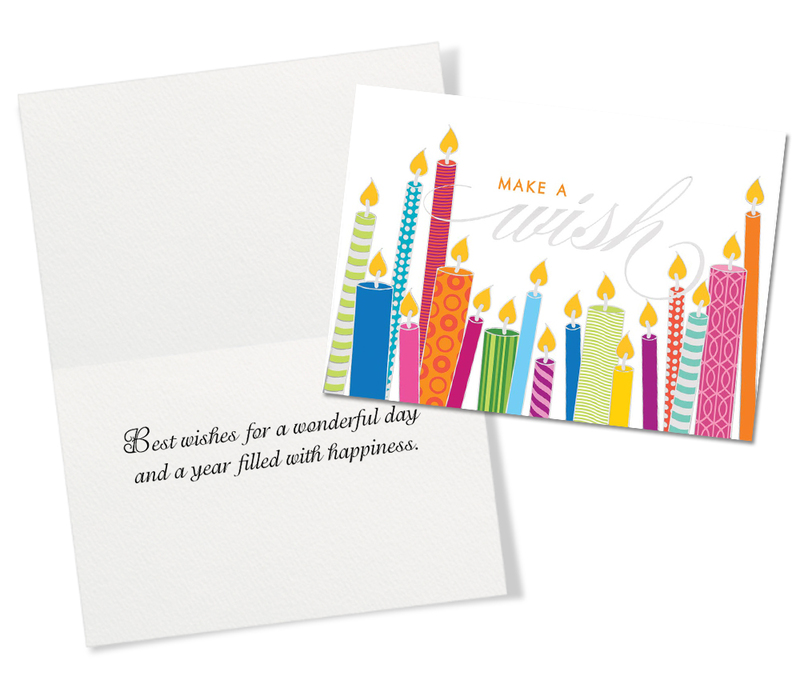 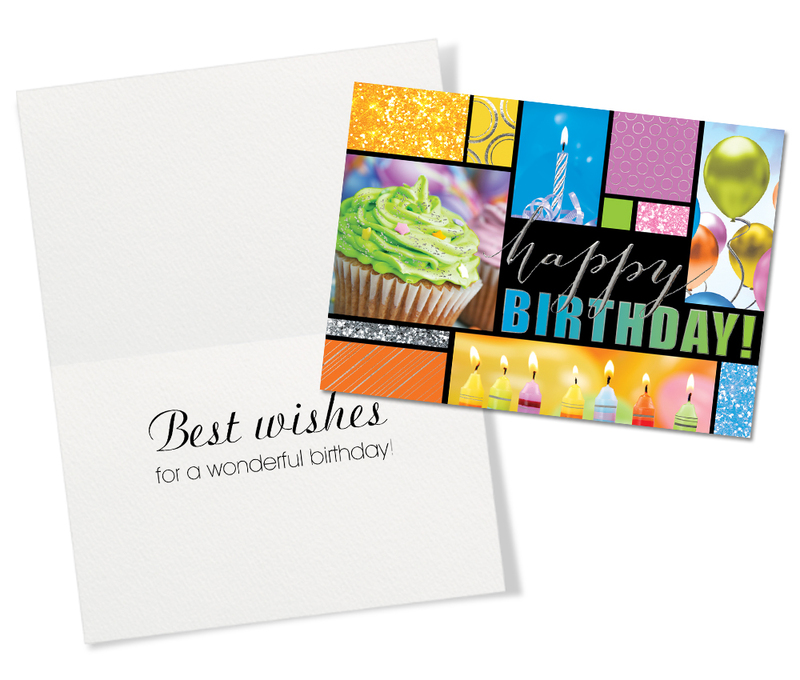 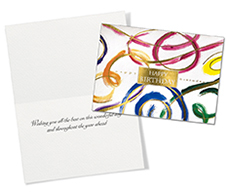 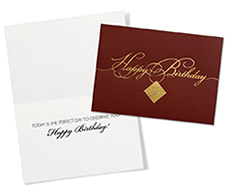 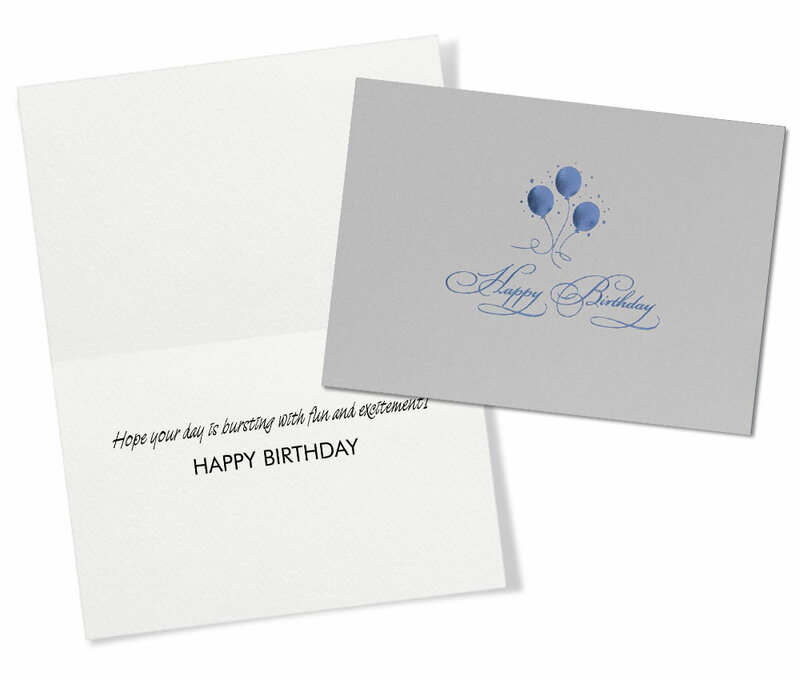 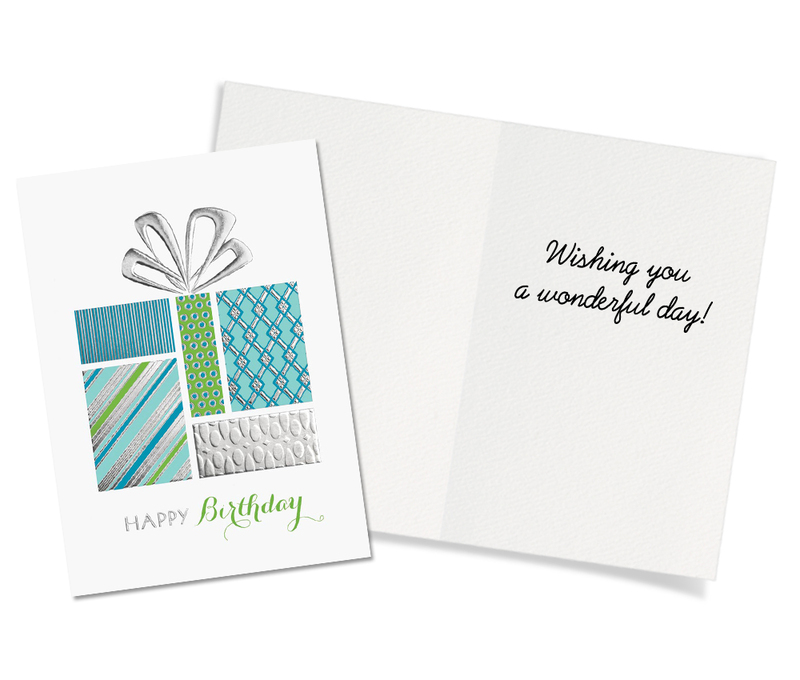 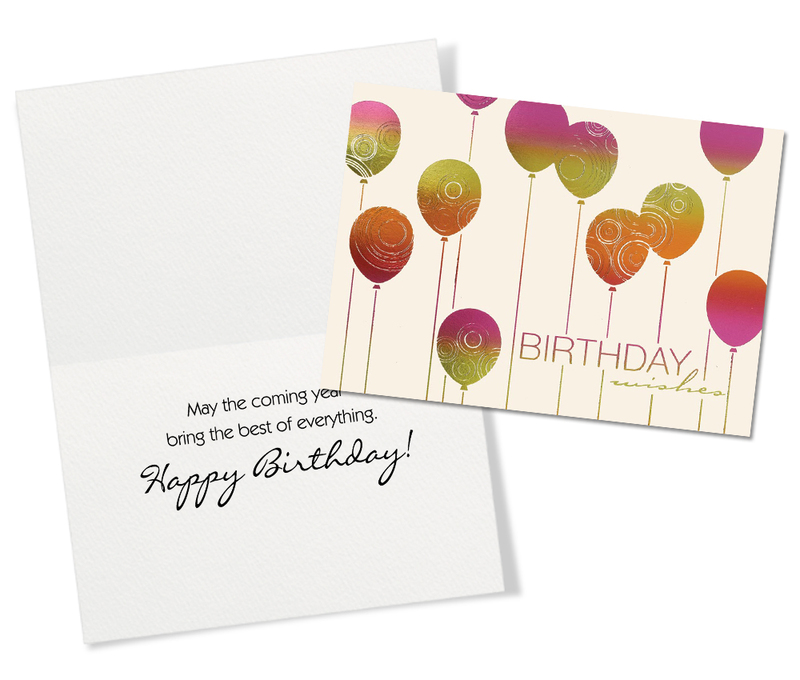 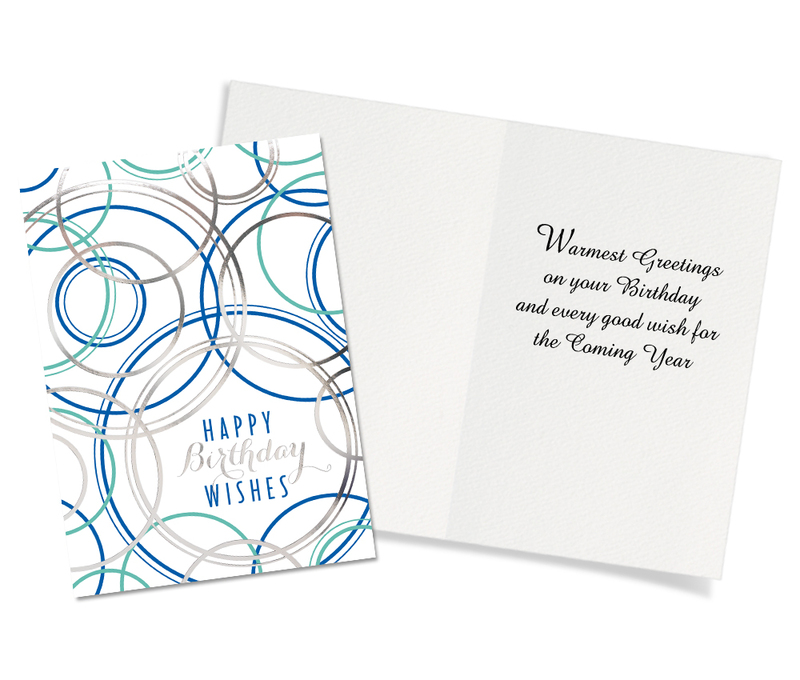 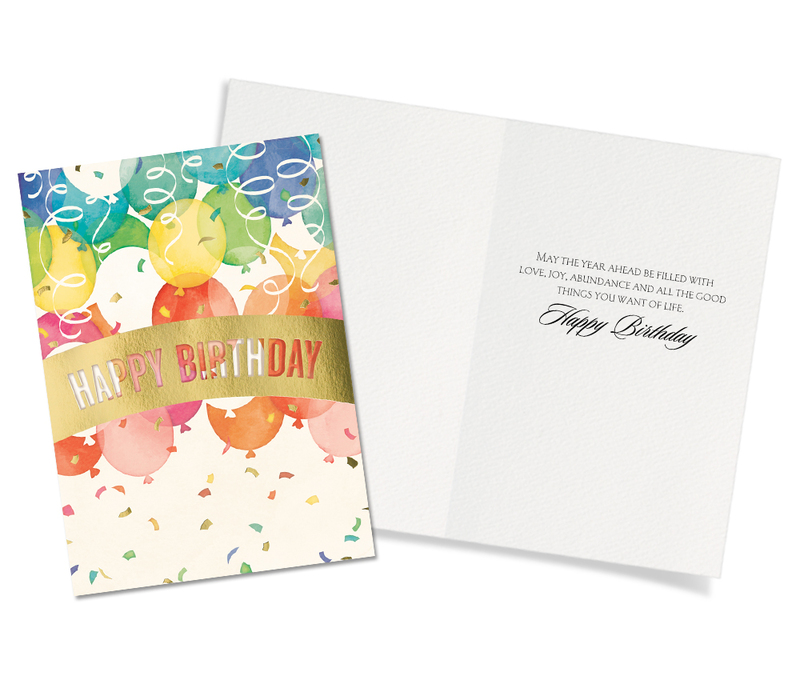 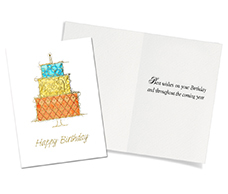 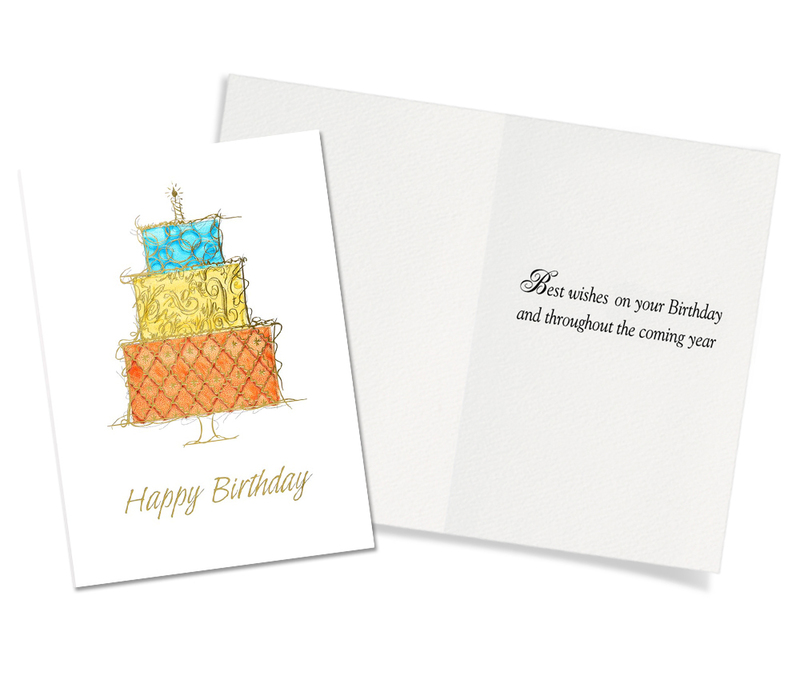 High quality birthday greetings are perfect for personal or business communication. 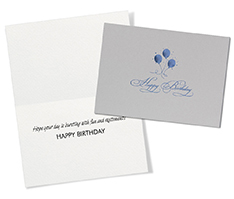 All cards will be preprinted in black ink with an appropriate birthday verse on the inside. 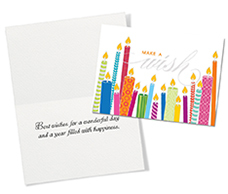 Includes coordinating blank envelopes. 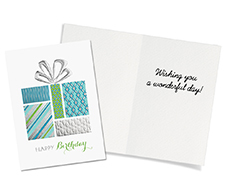 Sold in package of 50 (5 of each design) cards.